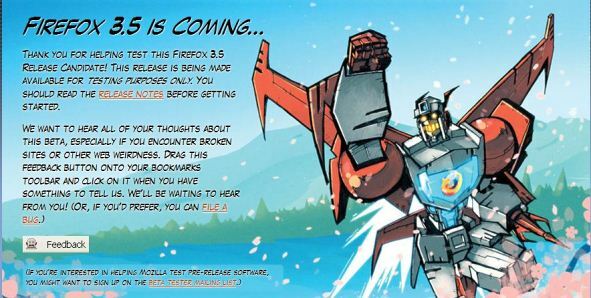 Mozilla has recently announced the availability of Firefox 3.5 RC2 web browser. The first RC was offered to beta testers only while the second only was made available to public. Gives bad conotations with Transformers the movie, that was.. astonishingly bad. It falls back to flash video (Youtube) if necessary.